To mark EasyMandarin’s 10 year anniversary, EM held a Saturday brunch party + yoga class + Chinese calligraphy session at Shanghai’s popular former French Concession hotspot, The Apartment. The day started with a super relaxing yoga class, then a delicious champagne brunch, and ended with everyone practicing the traditional art of Chinese calligraphy. It was really a lot of fun! Thank you to all of our teachers, students, staff, and friends for being a part of our first 10 years! For some very useful Chinese on demand right in your pocket and to find out about future EasyMandarin activities, join us on WeChat by scanning the QR code below. Type and send ‘ChineseOnDemand’ for useful Chinese about weather, getting your haircut, job hunting, sports, booking a hotel, and more! EasyMandarin is Shanghai’s leading Chinese school and one of the top language training centers in China. The school was established in the year 2006 and since then has taught Mandarin to thousands of individuals from more than 60 countries, including overseas students, interns, CEOs, heads of NGOs, consulate generals, and people just visiting China to experience the language and culture. EasyMandarin is an official partner of the American (AmCham), German (AHK), Swiss (SwissCham), and Danish (DCCC) Chambers of Commerce. 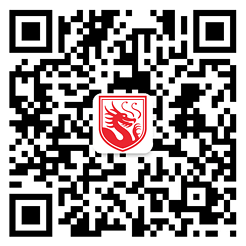 EM is based in Shanghai, China and is internationally accredited by CSN. Need to ask a question or want to register online? We're ready and waiting to help you in any way we can. See photos of our school, teachers and activities. See EasyMandarin students talk about life at the school.